Alright, this couple is just unfair. They are beyond gorgeous together, they’re totally committed (they’ve been together for 8 years! ), and the photos that Tinywater Photography captured of them are truly breathtaking. 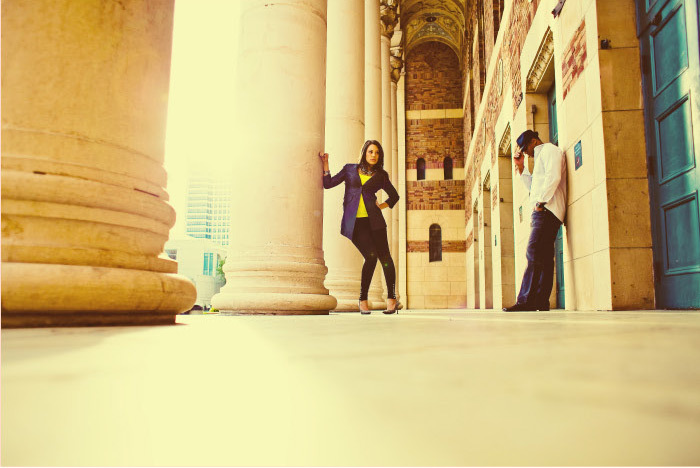 We love the cool, urban feel of their engagement photos and the way Carla and Loren seem so blissful and at ease. Check them out! Awwwww! Warm fuzzies all over!! 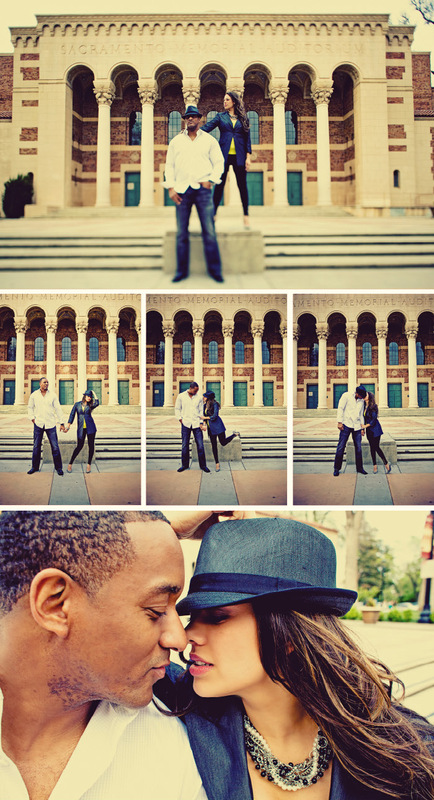 We are in the midst of wedding planning with Carla and Loren and we can’t wait to see their big day come together. 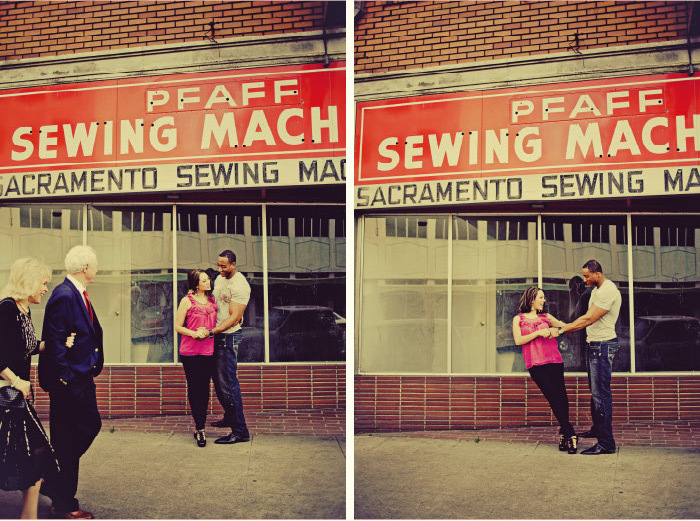 This stylish couple is getting married in Los Lagos and then heading over to Sacramento’s Elks Tower for their reception. There, they’ll be pampered by a great team, including DJ Mike Regan, Accents by Sage Floral Design, Tinywater Photography, and, of course, yours truly! It’s going to be a fabulous day!